Walt Disney World Moderate Resorts offer table-service restaurants, immersive environments, and themed pools with slides. Some resorts even offer themed rooms such as the Caribbean Beach Resort Pirate Rooms. The Cabins at Fort Wilderness. Walt Disney World Deluxe Resorts not only provide immersive rooms, fantastic pools, multiple table-service restaurants, and incredible environments, but they also give guests luxurious amenities and extreme convenience to the theme parks. 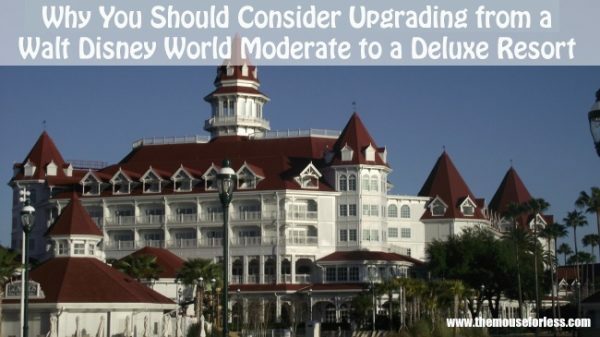 The difference in accommodations between Moderate to Deluxe resorts can be a minimal change or can be drastically upgraded depending on how much money you are spending. Moderate Resorts are all standard hotel rooms with the exception of the cabins at Disney’s Fort Wilderness. To contrast, Deluxe resorts have options for room size. Some Deluxe resort rooms are typical hotel rooms that are larger than the moderate resorts, but not dramatically different. Other Deluxe resort rooms are massive with multiple bedrooms, multiple bathrooms, laundry in the room, and a kitchen. At the Deluxe resorts, guests are fully immersed into the theme of the resort. While the Moderate resorts, especially the themed rooms, are elaborately themed; the Deluxe resorts take this to the next level. Everything is themed from the pools and bathrooms to the special resort events. These are extra magical touchs that is only available at the Deluxe resorts. For example, at Wilderness Lodge the building is designed as a massive timber lodge. The theming elements range from an Old Faithful geyser to unique native american artifacts. The amenities at a Deluxe resort are superior to those at the Moderate resorts. The pools at both types of resorts do have slides, but the Deluxe resort pools also have splash areas for kids to enjoy. In addition to the pools, there is more resort entertainment at the Deluxe resorts. Some Deluxe resorts have character interactions periodically. All of them have movie nights, bonfires, and other entertainment offerings. Compared to the entertainment offerings at the Moderate resorts, the Deluxe resorts have much more to do. This is a huge benefit in considering a Deluxe resort, if you are planning a non-park day while in Walt Disney World. There are also differences in dining options that are available at the Deluxe and Moderate resorts, Like the Moderate resorts, the Deluxe resorts have a table service and a quick service dining option. The Deluxe resorts do not have a food court style dining option, but many Deluxe resorts do typically have a signature restaurant that is more expensive and more upscale. One final amenity that is upgraded when guests upgrade from Moderate to a Deluxe resort, is the availability of onsite gyms and spas. If guests are interested in exercising when on vacation, most resorts at Disney have access to running trails, but the Deluxe resorts also tend to provide access to gyms with weight training equipment. Some of the Deluxe resorts also have spas on-site. If any one factor were to influence the decision to stay at a Moderate or Deluxe resort, location probably has the greatest impact. Deluxe resorts tend to be very close to the parks, and thus they have different modes of transportation to the parks available for guests. At a Deluxe resort instead of having to solely rely on Disney’s internal bus system, guests can potentially utilize monorails, boats, or even their own two feet to get from the resort to a park all depending on which Deluxe resort Guests choose. The Magic Kingdom Resorts, with the exception of Disney’s Wilderness Lodge, all offer monorail and boat transportation in addition to the ability to walk to the Magic Kingdom. The Epcot resorts all offer the ability to walk or boat to Epcot and Hollywood Studios. The resorts in the Disney Springs area offer the ability to boat or walk to Disney Springs. Check out our resort pages for more information on specific resort room sizes and furnishings. Staying at a Deluxe resort gives you the option to choose what type of room you stay in for your trip to Disney. Wilderness Lodge and Animal Kingdom Lodge even offer free tours to demonstrate the amazing resort features. These special additions make the Deluxe resorts stand out. The location of Deluxe resorts is a great consideration because of the enormous overall size of the Walt Disney World resort. 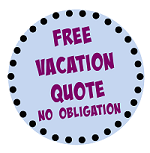 Staying in a resort that is close to the parks can save precious vacation time that may have been spent traveling from one destination to the other. 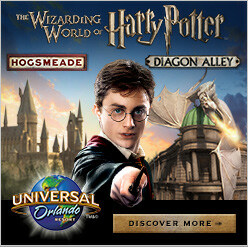 The only Deluxe resorts that do not offer a unique form of transportation to a park are Disney’s Animal Kingdom Lodge and Disney’s Old Key West. Spas are available for the use of any Disney Guest, but it is a nice benefit to be staying at the resort where the spa is located. Making a decision about which type of resort to stay in may seem difficult, but staying at a Disney resort is always a a magical experience! No matter whether you stay at a Moderate resort or choose a Deluxe option, the Disney difference is certainly prevalent.